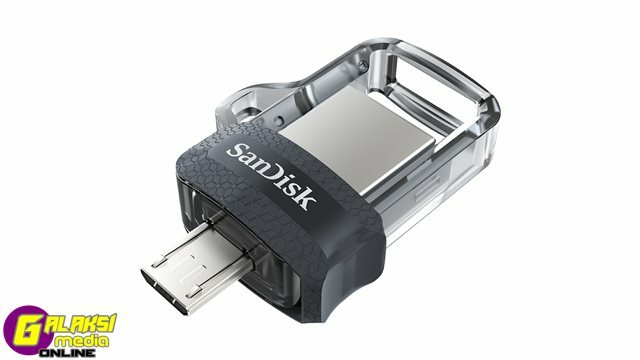 Kuala Lumpur, Malaysia, October 31, 2016 – Western Digital Corporation（NASDAQ: WDC）, a global storage technology and solutions provider, today began offering its latest mobile memory solution for Android™, the SanDisk Ultra® Dual Drive m3.0 for purchase exclusively on Lazada. The new offering expands the company’s portfolio of mobile storage solutions, with a stylish flash drive designed for Android users who want an easy, instant way to free up space on their OTG-enabled Android smartphones and tablets1. The SanDisk Ultra Dual Drive m3.0 features a cool, new retractable design with both a micro-USB and USB 3.0 connector, providing a convenient way for customers to manage their files between different devices. SanDisk Ultra Dual Drive m3.0 flash drive is available in capacities ranging from 16GB to 128GB* of storage, giving users more options to expand the capabilities of their mobile devices, enabling them to shoot high-resolution images and videos without concern about using up all of the memory on their devices. In addition to the higher capacity, SanDisk has improved the performance of the device’s USB 3.0 connector, which can now achieve speeds up to 150MB/s**, making it super-fast when transferring files. The SanDisk Ultra Dual Drive m3.0 flash drive is designed to fit nicely on a key chain, making it an easily accessible way to expand storage or share content in an instant. The SanDisk Ultra Dual Drive m3.0 flash drive is compatible with the SanDisk® Memory Zone app2, an application designed for Android devices. The newly-redesigned SanDisk Memory Zone 3.0 app provides new features including an aggregated view of all content, a new timeline based photo browser, an integrated video and music player and built-in file compression and decompression capabilities. With the app, users can conveniently manage and backup their personal data and faster transfers to the SanDisk dual drives. The application is available for free on major Android app stores. 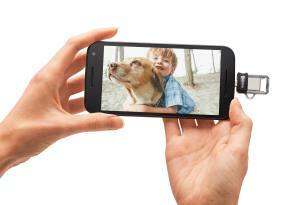 The SanDisk Ultra® Dual Drive m3.0 joins SanDisk’s expansive portfolio of mobile memory solutions. For more details on additional solutions, please visit: www.sandisk.com. SanDisk Ultra® Dual Drive m3.0 offers 5-year warranty3, available in 16GB, 32GB, 64GB and 128GB at MSRPs of MYR39, MYR49, MYR89 and MYR169 respectively, exclusively on Lazada.